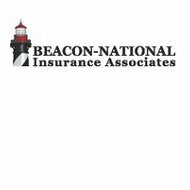 Beacon National Insurance Associates is a managing general agency that is located in Sarasota, Florida that sells a variety of insurance products including group health insurance. Beacon National has the ability to write insurance policies in almost all of the US and they specialize in insurance for the aviation industry. To get your free online health insurance quotes, enter your zip code below! Although Beacon National is licensed in nearly every state, they are not licensed to sell all of their insurance products in every state. For example, their group health insurance is only available in 26 states, although they are working towards getting their licensing in the rest of the US as well. This is their only address in the United States. Although Beacon National claims to sell group health insurance products to aviation groups, they do not mention group health under their coverage types or descriptions. This is odd, however, they do specifically mention group health insurance on their about us page and their home page that they offer this product as an additional benefit to their aviation clients. Beacon National exclusively uses independent agents to handle the selling of their insurance products. The problem, however, is that Beacon National does not offer a find an agent page on their website. This means that you are going to have to call the company directly if you want to find an agent. If you want to become an agent for Beacon National, you need to visit their website and fill out an agency profile form. This will allow them to determine if you are the right kind of agency for their type of insurance. Beacon only works with specialty agencies that work with the aviation industry. In order to file a claim with Beacon National, you will want to speak with your independent agent or you will want to go to the Beacon National website and file your claim. Because Beacon’s products are underwritten by several different agencies, you will be given the choice of who you need to file a claim through. At this time, you will click on the associated link where you will receive further instructions. In most cases, you will have the option of filing via phone, fax, mail, or email so that you can choose the method that is most convenient for you. In order to apply for a position with Beacon National, you will have to go on their contact page and inquire about any availability. They do not list who works in their human resources department nor do they list their open jobs. In addition, they do not list what the benefits are for working with the company. The problem that we had with Beacon National is that we could not find any reviews for this company or any mention of them at all outside of their own website responses to our search. We were unable to find customer reviews on this company. In addition, there were no BBB reviews or rankings for this company on any of the financial rating websites. This lack of information, coupled with the fact that there is no info on how long this company has been doing business leaves us a bit leery about the products that they are selling. It is possible that everything is just fine, but not having any pretense online at all, outside of their website, is troubling. In order to get a quote from Beacon National, you will have to work with our independent agent. On the Beacon National website, they do offer a quote form, but it is only meant for licensed agents to fill out. The odd thing is that the form is open for all to see, rather than being in a section just for agents. This is unusual for insurance companies. As Beacon National only sells health insurance as group policies for aviation companies, you will not be able to purchase any health insurance from this company anyway, unless of course you are an aviation company. Because of that, you will want to look to our quote tool to help you find the right health insurance company. Enter your zip code below and get your free quotes for your health insurance needs!